One of Chamberlain’s most beloved landmarks is the bridge that spans the Missouri River from Chamberlain to Oacoma. Yesterday afternoon, a group of local bridge builders came home to a hero’s welcome. After one full year of deployment in Afghanistan, the 200th Engineer Company of the National Guard based here in Chamberlain returned. Many of our students lined the streets to offer their appreciation as fire trucks with sirens blaring, motorcycles and police cars escorted the troops on a parade through town. Afterwards prayers and words of appreciation were offered at a program in the armory. Several of our staff had joyful reunions with family members we have prayed for since they’ve been gone. The unit built five bridges in their time overseas. Sadly, one member, SPC Jared Roe, lost his life in a construction accident, and he was remembered again with a time of silence. Today at mass we honored many groups of people. Our Distinguished Alumni Award was presented to two men, Casmir LeBeau and Orville Webb, who were two of the original group of 47 students who started St. Joseph’s in 1927! Orville’s son Bud came in his place, but 95 year old Casmir stood up to receive his award and talked about the old days with our students, eliciting both laughter and wonder. He has been one of our St. Joseph’s historians, gathering and preserving many memories from those early days. After serving in the Coast Guard in WWII, Casmir worked for the Bureau of Indian Affairs until his retirement. What amazed me was the small staff the school began with – two priests, three dorm supervisors, two teachers and a maintenance man. Fittingly on Mother’s Day we honored all the mothers, and women who work as houseparents with a flower and a prayer of blessing. We honored our eighth graders who will graduate in two weeks. Their just-completed class banner for 2012 advises “We are strong as individuals, but as a class we are invincible.” There is great power in community and working together, and I hope they keep that attitude throughout life. And we honored our four high school graduates, all of whom have been at St. Joseph’s for many years. We’ve seen D’Kera (12 years) Danisha and Nick (11 years) and Erin (8 years) grow into fine young adults with lots of gifts to offer the world that needs so much. They will walk up the aisle next Sunday at the Chamberlain High School to receive their diplomas. All plan to attend college next year. After a tasty dinner prepared in our dining hall, we viewed a slide show and video message from each student that helped us remember their years here. Family and staff members who wanted to share a reflection or memory were invited to do so, and there were a lot of emotional moments as our students prepare to move on. But that is our goal, to get young people ready to leave us, and move on to what the future can hold for them. 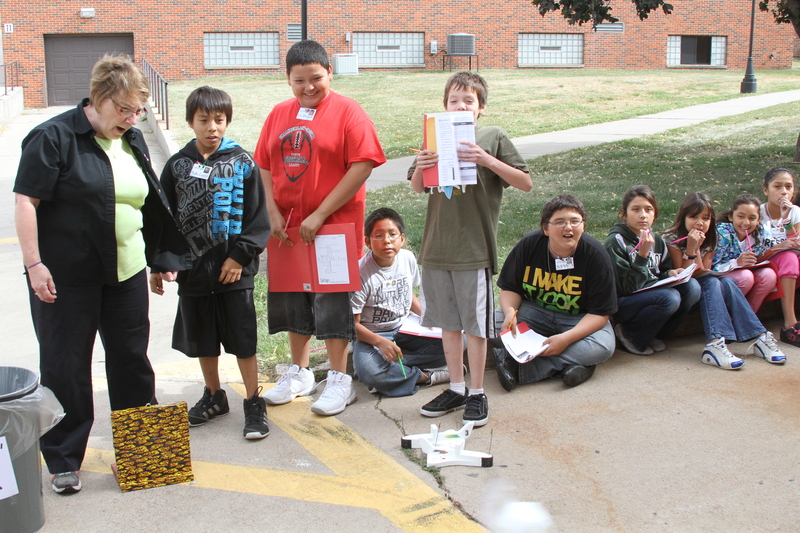 Many of our Lakota students enjoyed a spring break this past week. Our homes all opened up at noon today. While the students appreciate a chance to go home, I also notice that a few days off this time of year does wonders for our teachers and houseparenting staff. As we start the fourth quarter, staff are returning with renewed energy for the flurry of activity as we head towards graduation and all the end-of-the-school-year activities. My week began with some community days of recollection. Fr. Jim from Milwaukee gave us a series of talks about spirituality and we took time to break from activity to spend extra time during this season of Lent in prayer and reflection. Mid-week, I made a quick trip to Wisconsin for a finance meeting for my religious order, the Priests of the Sacred Heart (SCJs). Fr. Ed, who is retired in Milwaukee, brought out an index card box full of pictures. All were from 1965 when he was stationed here in South Dakota, and he asked me if we were interested in having the photos for our historical center. Many of the pictures were from the end of the year when families came to pick up students. Others were from the bus trip taking students home to North Dakota. In those days, many of the students who came from that distance – more than 5 hours away – didn’t see their families from September through May, and the photos touched on their stories. 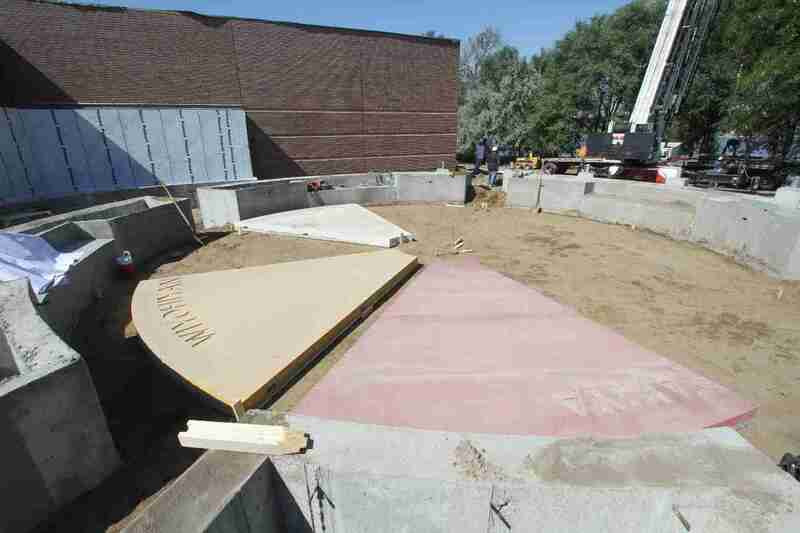 As our Akta Lakota Museum expansion project continues to rise, several people have come forward with pictures and memorabilia that fill in St. Joseph’s history. Campus wasn’t totally quiet during spring break. We kept one of the homes open for 13 students whose family situation made it better for them to remain here. Daves, Louie and Rudy are three brothers who live in different homes during regular school year because of their age difference, but were glad to have some family time together in the break home. They were the only boys in the group, but still got along well with the ten girls who stayed. The kids and houseparents in the break home enjoyed many activities on campus, and also traveled to Pierre where the water slide at the YMCA pool is always a hit. Since our high school students attend the public school, they continued with the usual classes. Friday was a day off for them as the Chamberlain boys played in the state basketball tournament at Sioux Falls. The Cubs finished 7th, and their one victory avenged an earlier loss to our rivals from Winner. Today was a landmark day for several of our high school students. Six have been preparing to receive the sacrament of confirmation, and Bishop Swain from Sioux Falls was in our area. Erica and Tia, sophomore twins, are from Fort Thompson, which is 25 miles north of us along the Missouri River. They joined the parishioners there and had lots of family to celebrate with them. Their roommates from the Crane Home also joined for support. The twins both took the same confirmation name – Kateri – in honor of the Mohawk/Algonquin woman who will officially become canonized in October. I am a former pastor of Fort Thompson, and know most of the folks there. I grinned however, when one newer parishioner came up to me before mass and asked how my recent trip to Rome was. I’ve never been to Rome – she thought I was the bishop! Chris, at one of his last plays. After Fort Thompson, I came back to Chamberlain, where three of our high school boys, William, Chris and Jacob joined their high school classmates for confirmation downtown at St. James. I noticed Chris took the name of a Saint that I’m not very familiar with – Genesius. When asked about it he said that Genesius is the patron of actors. 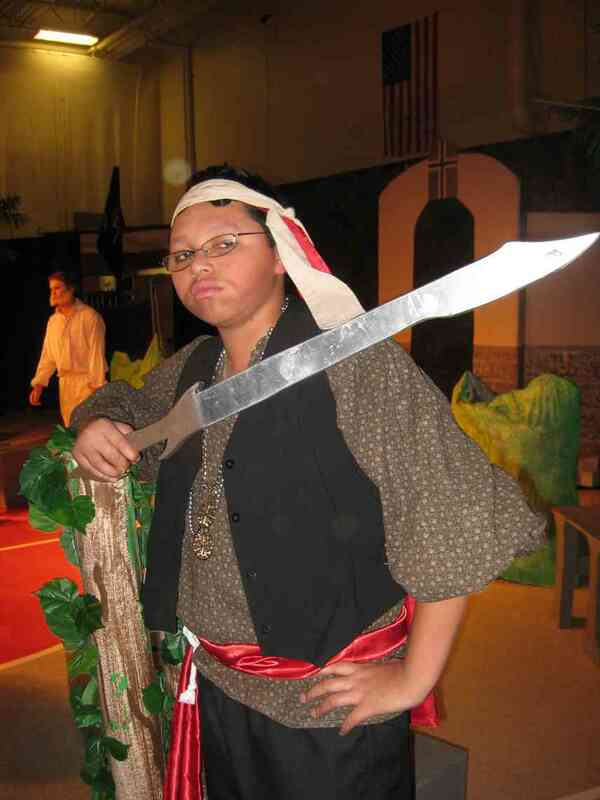 Chris has relished taking part in the highschool theater department and definitely has caught the acting bug. Several children of our staff members were also confirmed, and I enjoyed wandering the tables to say hello and meet extended family at the tasty dinner the parish put on for everyone afterward. One more high school girl, Trinity, is prepared for confirmation, but will wait until May and receive the sacrament at her home parish, Isaac Jogues in Rapid City when the bishop visits. Kathleen, Bishop Robert Gruss and Fr. Steve examining a science experiment. Rapid City Bishop Robert Gruss, who was just ordained Bishop six months ago, visited us today for the first time. While we are located in the Sioux Falls Diocese, more of our students are actually from West of the Missouri River and in his diocese. 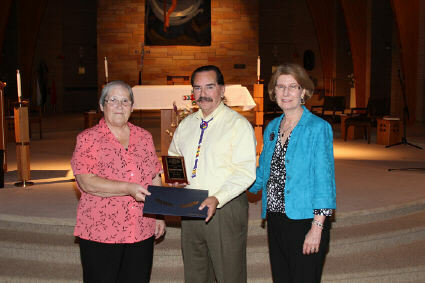 As he travels, and people hear he works in South Dakota, countless people have asked him if he knows St. Joseph Indian School, and he was very interested in discovering more about our school and programs. I accompanied him for almost five hours and enjoyed the company of a kind and faith filled shepherd. I gave the lengthy, deluxe campus tour. In the Akta Lakota Museum, Vickie shared how we provide a place for visitors to learn about the history and culture of the Lakota (Sioux) people. Frank, our 6th– 8th grade residential coordinator gave the Bishop a tour of the Rooney Home and explained everything from student chores and laundry schedules, to security measures in the homes, to our four tiered phase system, where students can earn more privileges as they make progress on their personal goals. We stopped at the Health Center where Nancy, Ronda and Connie look after the health care needs of our students. Fr. Anthony put together a school wide prayer service. The Bishop told our Native American students about his growing up years, and reminded them that God has a plan for each of them. He used the image of a jigsaw puzzle where we don’t see the big picture until its complete – but prayer helps us to see God’s hand in all things as we grow. Our Chalk Hills Singers drum group sang a honor song, and our Powwow Royalty presented him with a picture of our student body and a snow globe replica of our Lady of the Sioux Chapel. The Native American student's admiring the Bishop's "bling-bling". 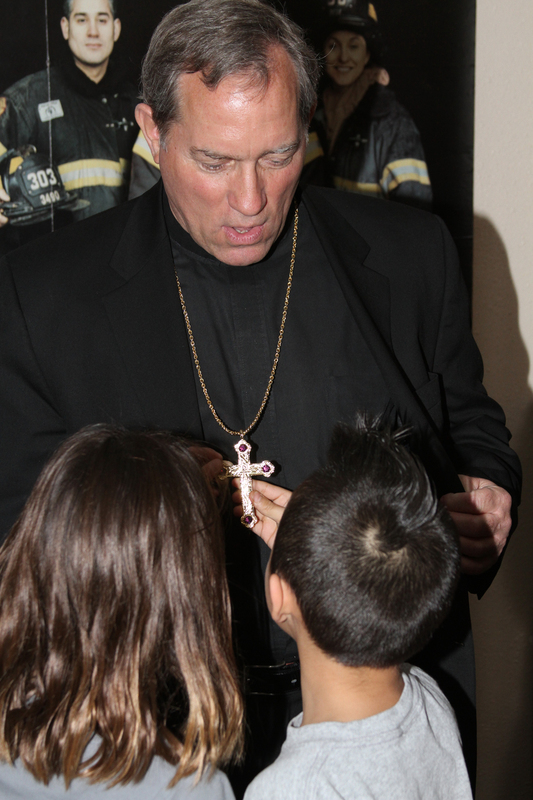 While we were shaking hands with the students outside of chapel, the line that made me laugh the most was when one of our students saw the golden chain connected to the Bishop’s pectoral cross inside his shirt pocket. “Can I see your bling-bling?” he asked! We sat with a group of 5th grade girls in the dining room for lunch. That crew is usually very talkative, but it took them a little while before overcoming shyness around a stranger and eventually opened up. Julie gathered four of our family service counselors who talked about the backgrounds of our American Indian students and their families and issues they face. 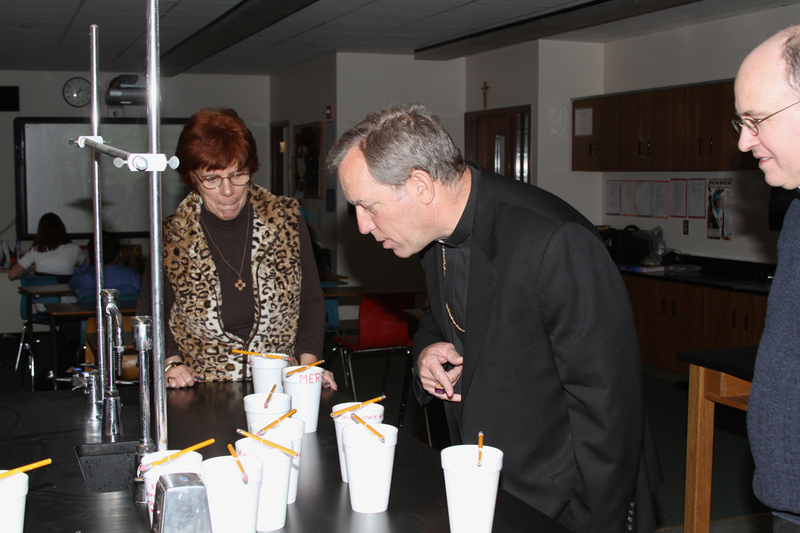 Bishop Gruss asked lots of good questions to help him understand the people he is serving. Kathleen, our principle, led us on a tour of the school. Brock demonstrated one of our smart blackboards. The third graders in Native American Studies class demonstrated both traditional powwow and hoop dancing. Bishop Gruss let out a big laugh when one of the songs the kids danced to was “Old Macdonald” sung in 49er powwow style. We ended the day in the Development Office, for a tour of the work our staff does there, and some coffee and cookies. Next time someone asks the Bishop if he knows St. Joseph’s Indian School, he’ll have some good memories and a good sense of what we’re all about. In the morning, our visitors had their choice of several cultural workshops. Some folks made their own dreamcatchers, others learned drum songs or played traditional Lakota (Sioux) games. Our child service staff had panel discussions to answer questions about the work with our students. Planned Giving answered questions about our development efforts. This afternoon, St. Joseph’s Indian School was open for tours and groups of two or three students from our American Indian leadership committee led a small group of donors throughout the building. All of the classrooms were open with a few extra chairs off to the side, for people to observe and interact. People told me they were impressed not just by what was in the classrooms, but also our well-developed and comprehensive philosophy of child care. At three o’clock we gathered in the Rec Center to announce St. Joseph’s Indian School’s Royalty for the 2011 powwow. Congratulations to Erin, Irene, Rebecca, Mary and Caden who will represent our school at the powwow and at cultural events throughout the coming year! Jackie Bird offered a memorable performance of song, dance and sharing of tradition. She is also an accomplished designer of shawls and dance regalia. She enlisted the help of our girls to walk into the center of the circle wearing some of those creations, teaching about Lakota (Sioux) understanding of the significance of the directions, and our relationship with our winged and some of the hoofed relatives in creation. Tonight, we held a banquet for our donors at Cedar Shores Convention Center, just across the Missouri River in Oacoma. The businesses we do business with use this occasion to give something back, and paid for the entire meal. Our St. Joseph’s Chalk Hills Singers Drum Group set the pace for a few of our dancers, and an explanation was given about different powwow regalia and dance styles. A little introduction helps first time powwow goers to understand what they are seeing. One lucky guest won a beautifully sewn star quilt as a door prize. I enjoyed walking from table to table. I just wish I had more time to spend with each visitor.